that I had to make a card to show you. (Colors Caramel, Denim and Pearl) then over stamped with Versa Magic Chalk inks in Black and White. Stamps used are from Hero Arts and Amuse Studio’s. The verse “Keep A Green Bough”, is from Oxford Impression, but was far to large to work with the card, so I printed it out using the computer. Here’s Wishing you A Play Full Sunday, try that Shrink Plastic. Thanks for poping in for a visit. Vada, you are so sweet to mention me and I am so happy that you pulled out that shrink plastic! What a gorgeous card and the bird and cage are absolutely incredible! 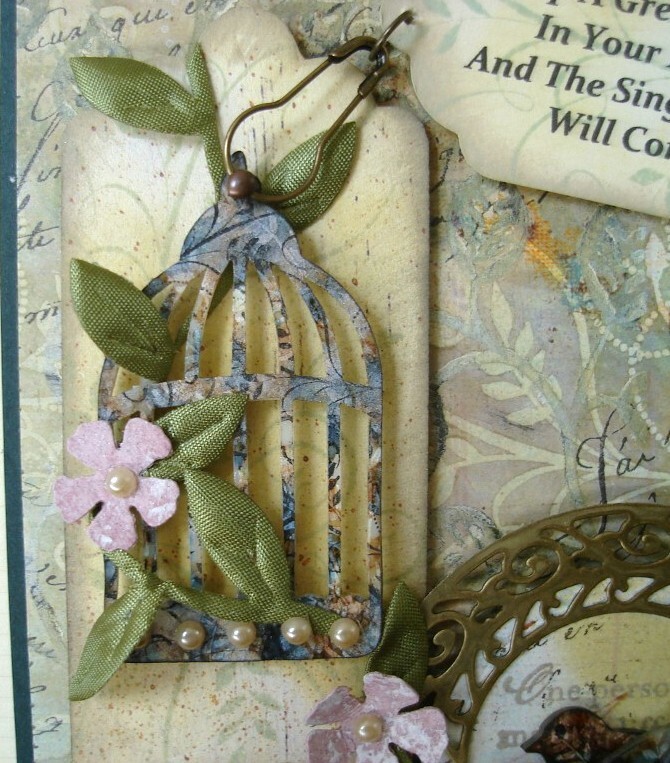 Love how you placed the cage on the little tag and perched the bird on that very pretty die. Lovely layers and colors. I am wowed! Have a great evening! Hugs, GF! 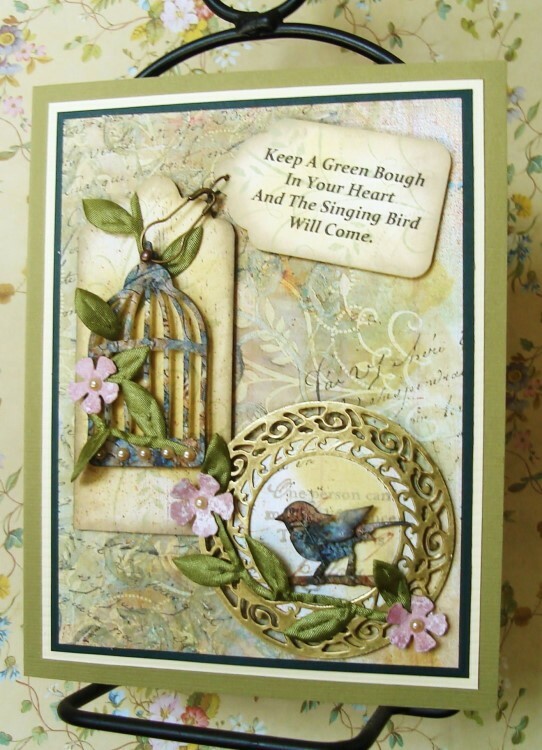 Beautifull elegant card, with a very nice wish, and a great background all the elements make one beautifull card!!! How gorgeous is this?!?!? LOVE it, Vada! oh my gosh!! This is a WOWSER!!! You are amazing!! Wow! This is BEAUTIFUL! 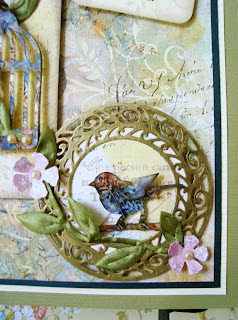 Love love love the colors, and the sweetness of the birds and environs. Really pretty!